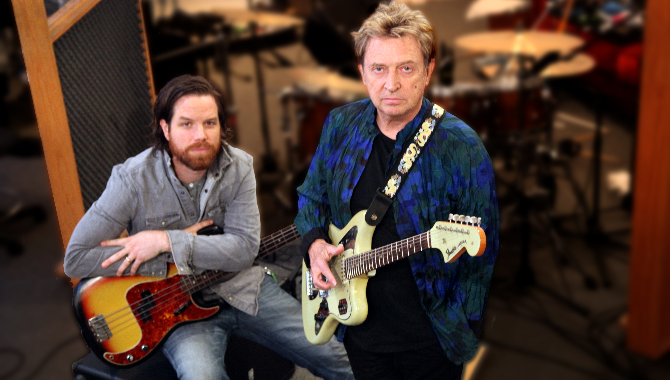 After 20 years amassing an impressive, mostly instrumental solo discography that often dug deep into exploring his jazz roots, Andy Summers hopped off The Police Reunion Tour in 2008– a 15 month worldwide jaunt that became the third highest grossing tour of all time –with a burning desire to keep rocking. Eager to start a new project, the guitarist, a Rock and Roll Hall of Famer since 2003, began recording material for a rock album in his Venice, California studio. He ultimately felt it lacked the right magic. Fast forward a few years and a fortuitous encounter at Los Angeles-based singer, songwriter and multi-instrumentalist Rob Giles’ performance at The Troubadour with his band The Rescues, and Summers realized he had found the ideal musical partner. Dubbing themselves Circa Zero, the duo’s 429 Records debut Circus Hero is a whirlwind of intense pop/rock energy, a set of 13 freewheeling, infectious tracks combining Giles’ soaring vocals and harmonies with Summers’ powerful melodies and inventive riffs. Please join us, just one day after the release of Circus Hero, for a discussion, hosted by Vice President of The GRAMMY Foundation and MusiCares Scott Goldman, featuring Andy Summers and Rob Giles. After the interview, the group will perform a selection of songs.